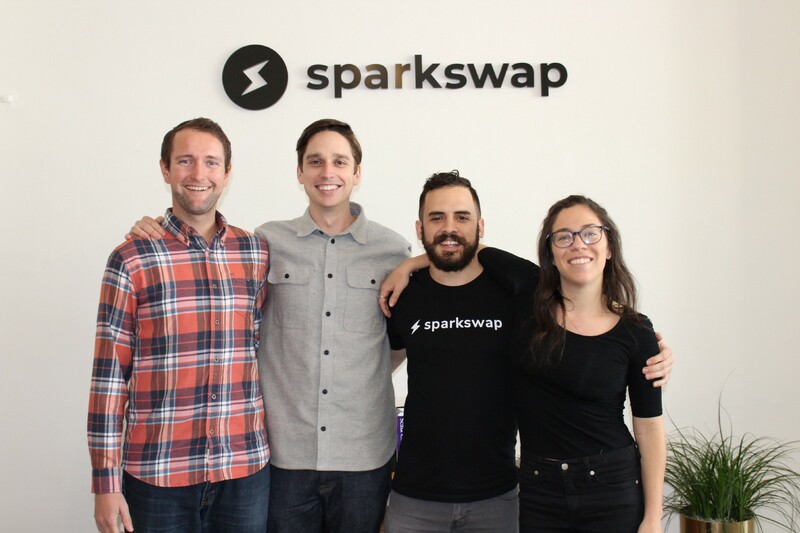 After months of hard work, I’m excited to announce that Sparkswap, the first cryptocurrency exchange built on Lightning Network Atomic Swaps is live for trading on MainNet in its Public Beta. For the first time, non-custodial trading will be truly competitive with the custodial exchanges. By taking advantage of the Lightning Network, traders on Sparkswap do not have to sacrifice execution and settlement speed to keep custody of their assets. And by supporting Bitcoin natively, Sparkswap can address the most liquid trading pairs. We performed the first ever MainNet Lightning Network Atomic Swap the day before Bitcoin’s 10th Birthday, on January 2nd 2019. The Lightning Network Atomic Swap is the core technology that allows Sparkswap users to trade across blockchains without trusting Sparkswap or their trading partners, and allows trades to settle nearly instantly. Swapping on MainNet is further proof of the Lightning Network’s maturity and the maturity of Sparkswap’s own software, and it finally fulfills one of the use cases outlined in the Lightning Network whitepaper. Now we’re excited to make this new technology accessible by opening up trading to the public. For the Beta, transaction sizes will be limited while we battle test the software, and trading will be limited to BTC/LTC, one of the top 10 cryptocurrency pairs globally. Sparkswap is designed for professional and semi-professional users who trade on multiple cryptocurrency venues and are exposed to significant risk if those venues lose or even simply delay withdrawals for weeks or longer. As such, our API is our first priority and integrating with everything from off-the-shelf trading tools to custom software should be as easy as integrating with any custodial exchange. We shipped our TestNet Alpha 8 months ago and plan to continue pushing changes to the platform as we improve its stability, security, and performance, and as we expand currencies. We’d welcome an opportunity to work with traders who are looking to reduce their counterparty risk by taking back custody of their assets while trading. We believe that trading is a fundamental building block for any financial system, and building a way to trade without giving up custody of assets and reverting to the legacy system is critical for cryptocurrency to achieve its potential as the future of the financial system. We started working on Lightning 16 months ago when it was clear to us that it would be a breakthrough in terms of cross-chain, high performance applications, and the growth in the Lighting Network and ecosystem has borne that out. While we still have a long way to go to make cryptocurrency mainstream, high performance trading between highly liquid blockchains is one more piece of essential infrastructure to get us closer to that future. We’re fortunate to have partnered with investors who share that vision, and we’ve raised a $3.5m seed round from great firms including Initialized Capital, Pantera Capital, Foundation Capital, and Y Combinator to execute on it. We’re hiring software engineers to join our team in San Francisco¹ to help us build the future of the financial system. We’re a fully co-located team. Amazing engineers are everywhere, but we work best in person. If you’re in the Bay Area or willing to relocate, we’d love to talk with you.